The latest trend in higher education, right after stringer tanks and white Converse, is taking a break from it. It’s called a gap year, and studies suggest all the cool kids are doing it — or thinking about it. Maybe even more, now that President Obama’s oldest daughter, Malia, announced she’ll be taking some time off before attending Harvard in fall 2017. While crashing on Barack and Michelle’s couch is probably out of the question, gap year advocates warn there’s a right and wrong way to take time off between high school and college. For incoming UCF freshmen, taking a gap year to work and bum around Orlando would fall into the "wrong category." “We don’t consider that a gap year, and that actually can potentially have negative effects on a student's educational future,” said Joe O’Shea, president of the board of directors for the American Gap Association. Often wedged between high school and undergrad — and sometimes during undergrad or before grad school — a gap year needs to be structured and should contribute to a student’s education. That could mean teaching English in the Middle East, driving a camper through Australia, helping wildlife in Borneo or running away with the circus. Each year, an estimated 30,000 to 40,000 students take gap years, a practice that originated in the United Kingdom and saw a 23 percent increase in the United States last year. Becky Gantenbein, a guidance counselor at Astronaut High School in Brevard County, discourages taking a gap year if a student’s plans are to stay in their home town, Titusville. “At least at our school, our counselors are big on not taking a gap, only because once they’re out it’s too hard to get back in,” said Gantenbein, who this year expects 15 to 20 percent of students to take time off before college, compared with 20 percent who will go on to community college and 25 percent who will enroll in a university. Less than 5 percent will enroll in a formal gap year program. That’s where the American Gap Association comes in. Much like finding a study abroad program, the association helps parents and students find an accredited gap program that works for them. But all that life experience can’t be yours for $19.95, and it definitely doesn’t come with a free set of steak knives. Taking time off to travel the world is expensive. And it’s not covered by Bright Futures or FAFSA. “The financial aid opportunities for gap years are more limited, and that’s something that the industry wants to change,” said Marie Schwartz, founder and CEO of TeenLife.com, a resource for starting your gap year search. For years Ivy League schools, including Princeton and Harvard, have been encouraging incoming freshmen to defer for a year. And now it seems the trend is trickling down to public schools. 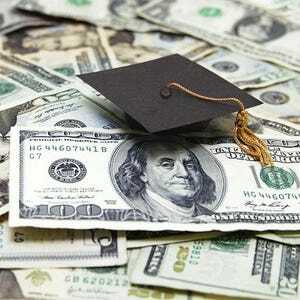 Florida State University, for example, launched its first gap year scholarship in December — only the second public university to do so in the country, with the first being University of North Carolina at Chapel Hill — for which it received 35 applications from students hoping to receive up to $5,000, part of a $50,000 grand total. “One common criticism is that [gap years] are largely in the domain of the middle class and above,” said O’Shea, also the director of Florida State’s Center for Undergraduate Research & Academic Engagement. Other schools in the area see “gappers” here and there. 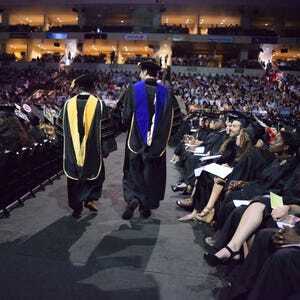 At Florida Institute of Technology in Brevard, Gary Hamme, associate vice president for enrollment management, sees maybe two or three each year and holds a spot for those students who want to defer. UCF doesn’t offer enrollment deferment, but sophomore Jessica Garmizo was able to work in a gap year because the school grants two semesters of leave. She used the time to volunteer and take classes in Israel through Young Judea's Year Course. Meanwhile, many high schools, including those in Brevard, have been focused on getting students prepared to enter college right away. Counselors start meeting with students in their freshman year, and Gantenbein finds that college-bound students aren’t interested in putting off attending a university. “They’re ready to move on,” she said. However, O'Shea noted that gap years can be particularly beneficial to those who grew up in homogeneous communities, such as Brevard County. "If they don’t take this break now, they may never take it," said Schwartz. "This is the best time in someone's life to take this experience. They're not married; they don’t have any debt." For Heritage High School grad Kyle Pettis, choosing to take time off was a matter of money. “I fall into a special little bracket on the FAFSA scales where my parents don’t make enough to assist me in any way to go to college, but they make too much to qualify for any financial aid,” said Pettis, who graduated in 2014 and always envisioned going to college. For the time being, Pettis is working with the campaigns for presidential hopeful Bernie Sanders and U.S. Senate candidate Alan Grayson in hopes of becoming more involved in the political scene. Although Pettis' gap year has gradually become years, American Gap Association finds that 90 percent of students who take a structured gap year, return to school within a year — usually more independent, mature and resilient to boot. Caroline Glenn is the Content Manager for the Central Florida Future. Contact her at carolineg@centralfloridafuture.com or 321-576-5933, or follow her on Twitter @bycarolineglenn.